Discussion in '(MLB) Cleveland Indians' started by Derek, Jan 30, 2019. McKenzie works with 92-96 mph velocity, big spin on his breaking ball and huge extension out front that makes everything play up. I saw him no-hit Wilmington in 2017 while he was still throwing 88-92 mph because hitters were constantly late on his fastball. His changeup is a clear third pitch. It's an action changeup that he turns over well but that some hitters will pick up out of his hand, though left-handed batters didn't do damage against him last year. It's no worse than No. 2 starter stuff, and you can squint a little and see someone who would sit atop a lot of rotations. The rub is that McKenzie looks like he might slip through the bars of a storm grate. Longstanding concerns about the durability of someone so slight of build came up when he missed the first two months of 2018 with a forearm strain, which wasn't serious and never required surgery, but questions resurfaced about whether he could hold up as a starter. He has the stuff and some natural elements from his height that you can't replicate. His 2019 season will likely be as much about staying healthy for 25 starts as anything else he needs to do. Jones was a first-round talent in the 2016 draft, No. 11 on my board that year, but he slipped into the second round on signability concerns. Cleveland, who took Will Benson in the first round, drafted Jones and paid him $2.25 million to sign. Benson has flopped, but Jones has emerged as the team's top position-player prospect on the heels of a huge year split between Low- and High-A in which he showed a broad, balanced mix of tools and skills at the plate. He drew 89 walks last year, sixth-most in the minors, behind five players older than he was, only one of whom might be considered a prospect at this point. Jones is tall, and his swing can get big, but he has strong hands and can keep them inside the ball to go the other way, so while I expect some swing-and-miss, I don't expect Joey Gallo-level strikeout rates, and he is already showing plus power that should end up at least at a 70 grade. The debate on Jones is his ultimate position; he's athletic enough for third base but very big for his age, and there's a real chance that he has to move off the dirt to right field, where his plus-plus arm would be an asset. There's a lot here that reminds me of Kris Bryant around the same age -- similar swings, similar size and athleticism, though Jones bulked up younger than Bryant did. I think even in right field, he'll be a high-OBP/30-homer guy, with his ceiling really defined by how well he controls his swing-and-miss as he moves up to Double-A. Naylor was 14th on my draft board but was still available for Cleveland at pick 29, where it had to be ecstatic to land one of the draft's best position player prospects -- even though it's still not clear what position he'll play. Naylor caught and played in the infield as an amateur, and Cleveland plans to develop him as a catcher while also giving him reps at third base, with second base always a possibility down the line, to maintain some flexibility. He is a superb athlete who gets raves for his on-field intelligence, and he has real tools in a plus arm, plus speed and real feel to hit, rolling right out of the draft to post a .381 OBP in the Arizona Rookie League that would have ranked in the top 20 had he qualified. He is a work in progress as a receiver, with plenty of arm strength and the agility for the position but lacking the receiving and game-calling skills he'll need to catch. I have little doubt he would be at least a 55-grade defender at third or second and that his bat will play at any of those spots; but of course, he has the highest upside if he remains behind the dish. Regardless of his position, Cleveland seems to have landed a good regular, maybe a lot more, at a spot in the draft when someone with his upside should have been long gone. SCOUTING REPORT: McKenzie’s fastball can get up to 95 mph and in each of the last two years it averaged about 92 mph. He held that velocity throughout the season and while it would dip during starts, he also showed the ability to reach back for more and finish strong at the end of his outings. His plus fastball plays up and gets swings and misses thanks to the extension in his delivery and the high spin rate he generates. He also has a good feel for spinning his plus curveball and gets good depth on the offering, which can be an out pitch. McKenzie’s changeup continues to develop and has the potential to be an above-average offering. He is starting to learn how to sequence and attack hitters with his full arsenal. He commands the ball well and earns praise for his makeup and understanding of his craft. McKenzie’s biggest area for development remains improving his physique to allow him to manage a starter’s workload. THE FUTURE: McKenzie will pitch nearly all of 2019 as a 21-year-old and is speeding toward the big leagues, where he has the upside to be a frontline starter. To this point he hasn’t been challenged much and he has a chance to earn a spot in the big leagues in 2019. But with Cleveland’s crowded big league rotation, the Indians can afford to let McKenzie force the issue with a strong showing in the upper levels of the minors. TRACK RECORD: Jones was regarded as one of the best prep hitters in the 2016 draft class, and he’s lived up to his amateur reputation in pro ball. After leading the New York-Penn League in OPS (.912) in 2017, he followed that up with a strong year at two Class A stops in his first taste of full-season ball. SCOUTING REPORT: Jones has an easy lefthanded swing and uses the whole field to hit. He is a patient hitter who led all Indians minor leaguers in walks (89), though his patience also means plenty of deep counts. He will always strike out fairly often as a result. He has plus raw power and in 2018 began to turn what had previously mostly been doubles pop into over-the-fence strength. Jones fits the third base profile, but he will need to improve defensively to stay at the hot corner. He has a plus arm but needs to improve his glove work and infield actions, especially when ranging to his right. If he did need to move, his athleticism and average speed should play in the outfield, though some believe he is destined for first base. THE FUTURE: Jones has impressed the Indians with his all-around offensive game and work ethic. He likely will return to high Class A Lynchburg to begin 2019. In loving memory of LeVon Washington. Why I can’t let go, I don’t know. Give us your top ten going into the off season. I think almost everyone wants to know! Though I am also curious about the difference between Oviedo ranking by Prospectus and the big differences ranking wise of Freeman. Not sure re: Prospectus and Oviedo, but the MLB.com pipeline is kind of trash in my opinion. I just wanted to be fair and list multiple outlets. I’m more of a Baseball America guy. This is an interesting way to do the prospects, not sure how good he is though as a talent evaluator though. Oviedo seems to have a ton of potential and likely will start the season at Lake County but should be a few years before he will be in upper minors/Cleveland. Who is your unknown this season? We all know guys like Aiken and Benson are the guys who need to prove themselves or be a bust overall it feels like. The most underrated system in baseball? Cleveland's Arizona League team had an embarrassment of prospect riches, even after the Indians traded Jhon Torres to St. Louis in the deal for Oscar Mercado (also a solid prospect). They had five of the 20 names on my friend Bill Mitchell's list for Baseball America of the top prospects in the AZL, and a sixth, right-hander Lenny Torres, didn't play enough to qualify. And that's before I mention the two elite prospects atop the system and the couple of mid-tier position players who established greater value for themselves last year. If Cleveland does trade Corey Kluber or Trevor Bauer for a huge haul, it could end up with a top-tier system, but the Indians also have the prospect capital to use to trade and get another player (an outfielder?) to help them contend again in 2019. 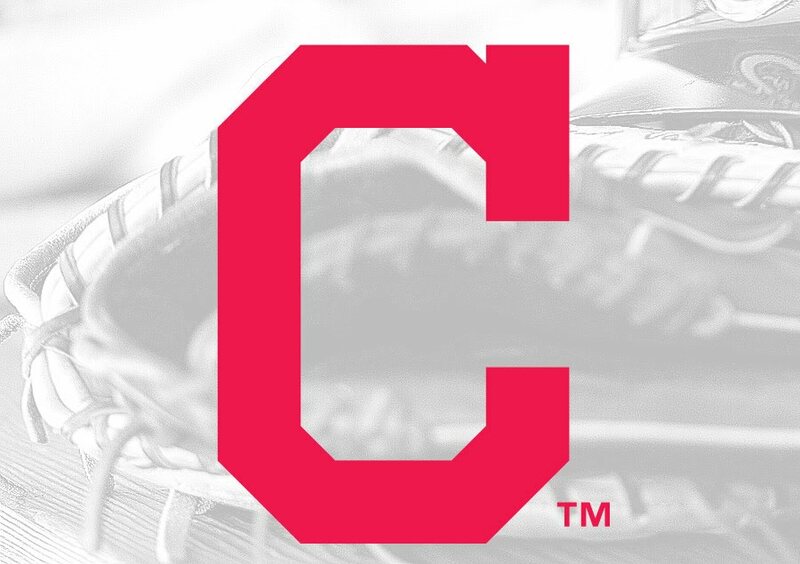 TRENDING: ◀️▶️ Cleveland traded top-prospect catcher Francisco Mejia to improve its bullpen, but the organization saw several low-level prospects emerge. STRENGTHS: Half a dozen years ago, the Indians had a wealth of middle infielders moving through their system, led by the likes of Jose Ramirez and Francisco Lindor. The makings of another wave is now building in the lower levels, with Tyler Freeman and Brayan Rocchio leading the charge. The core of the Indians’ system skews young across the board. The bulk of their best prospects are still at Class A or below. WEAKNESSES: Trades and graduations have thinned the upper levels of the system. They still have some gems, such as righthander Triston McKenzie, in Double-A and Triple-A, but most of the players in the system are still at least a couple years away from reaching Cleveland. While the Indians are strong up the middle in the infield, the same cannot be said in the outfield, where they lack impact prospects. Will Benson's hitting took a nose dive eh? He was always a boom or bust when we drafted him. A shame it turned to the latter. Is he salvageable at all? Thought he was displaying some plus power? Also did the same with Brady Aiken. Seems like two first rounders were wasted on some pretty big risks. Benson totally revamped his swing last year, thus the decline in production. I wouldn’t say he’s a bust yet, but this is a make or break year. Lefthander Brady Aiken took a step backwards in 2018, but he and the Indians hope it will result in him taking two steps forward in 2019. Cleveland drafted Aiken 17th overall in 2015 after he spent one year at the post-graduate high school program at IMG Academy in Bradenton, Fla. He had Tommy John surgery three months prior to his selection in the draft. The 22-year-old Aiken’s recovery from surgery has been long and laborious. In three pro season he has made 41 appearances and pitched 178 innings, none above low Class A Lake County and none in 2018. Aiken has logged a 5.05 ERA in pro ball, and he comes by it honestly. In 2017, for example, he went 5-13 and led the Midwest League with 101 walks, the second highest total in the minors. It was then that Indians officials decided to back off and let Aiken use the 2018 season to regroup physically and mentally. He spent the entire season at the Indians’ spring training complex in Goodyear, Ariz.
Aiken’s velocity has diminished dramatically since his surgery. At Lake County in 2017, his fastball sat in the high 80s and peaked in the low 90s. Contrast that with the velocity Aiken showed as a San Diego prep in 2014, when he touched 97 mph and went No. 1 overall to the Astros in that year's draft. He did not sign with Houston after the club reduced its offer following concerns about his elbow. Aiken instead enrolled in the IMG Academy, where in his first start he blew out his elbow. Indians officials feel that not pitching competitively in 2018—and instead concentrating on his conditioning and mechanics—will benefit Aiken in the future. "This season was a step in the right direction, and this offseason will be another important opportunity to make additional progress,” Harris said. Barring setbacks, Aiken will resume his career in 2019. Completely changed his batting stance mechanics and swing in the middle of the season. Not an easy thing to do on the fly, especially for your numbers. Finished out the year .229/.338/.438 his last month+ after hitting rock bottom the month prior. Good? No. Better than his .184/.324/.370 slash for the season? Most certainly. This is a big year for him. I like the changes he made to his swing. Now he has a whole winter to work with it and hopefully carry over some of his later in the season successes. Still has elite on-base skills. Posting a .324 OBP with a .184 batting average is ridiculous. And he does have power. 22 HRs while overhauling your swing is also pretty eye-opening. But this is this year for him to show something. What is Aiken's best case scenario at this point? Back end of the rotation guy? Bullpen? I remember when that dude had the world by the balls a few years ago in articles I was reading about him. Given he hasn't pitched in an actual game since 2017, it's anyone's guess. If his velocity was back in the mid-90's, I feel like they would have put that out there. Still, his breaking pitches could still make him a very effective pitcher if he had any sort of control. Honestly, we just need to see him pitch again before making any sort of statement. If he's still the same guy he was in 2017, he'll be out of baseball before sniffing the majors.